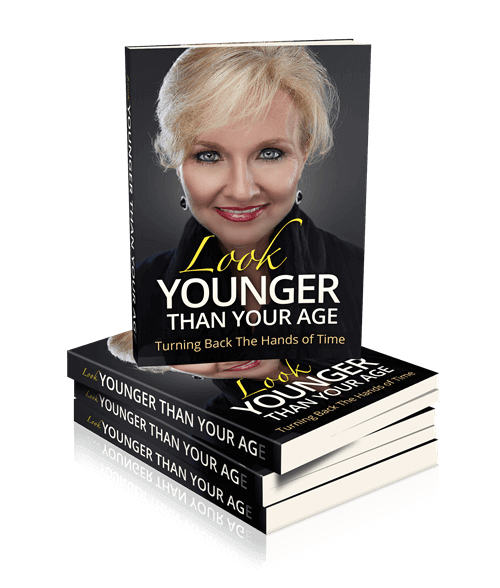 Take Control of the Aging Process! Do you know anyone who likes growing old? If you do they probably want to do so with excellent health! This PLR package provides information on how to take anti aging steps in a healthy manner! Now you can help the people looking for information on anti aging naturally! Take a look at what's included in this high quality package! You can use the report to build your list, post the articles on your blog...you can even add them to the report and make another eBook... there's so much you can do with this private label rights package. You will have the information you need to help the people who are looking for answers to their age-related problems! 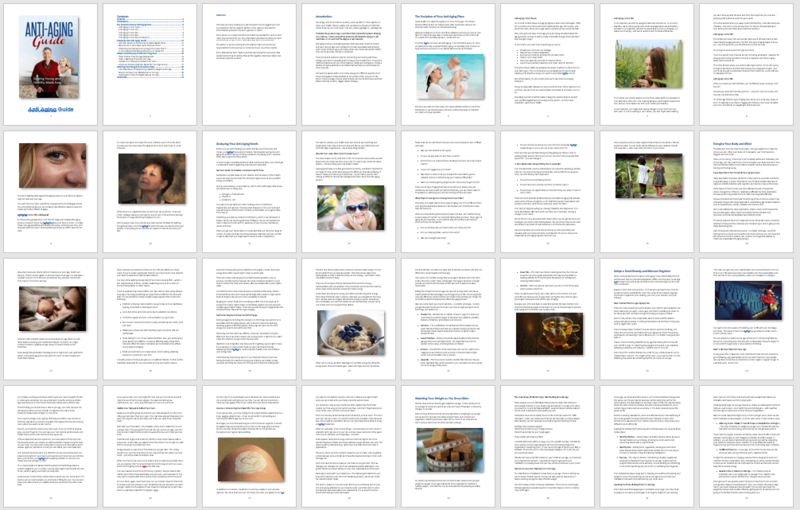 ‘Anti Aging Guide’ – 6,959 words, 33 pages. Formatted and includes a table of contents and easy to click hyperlinked pages. Disclaimer, introduction and conclusion added. Fully illustrated with 100% royalty free (commercial use) images! 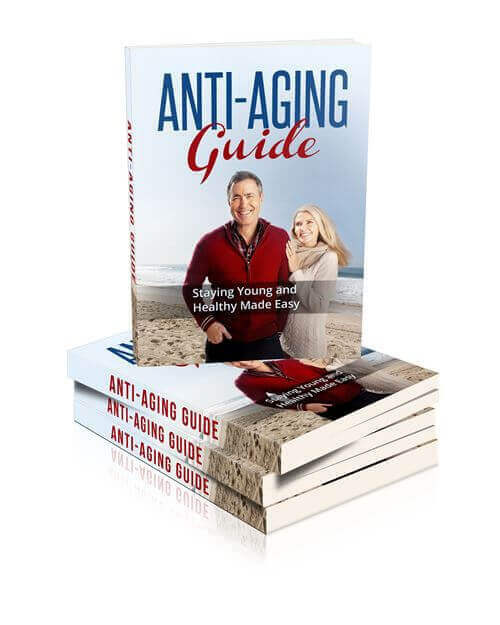 Anti Aging Guide eCovers – Professionally created. 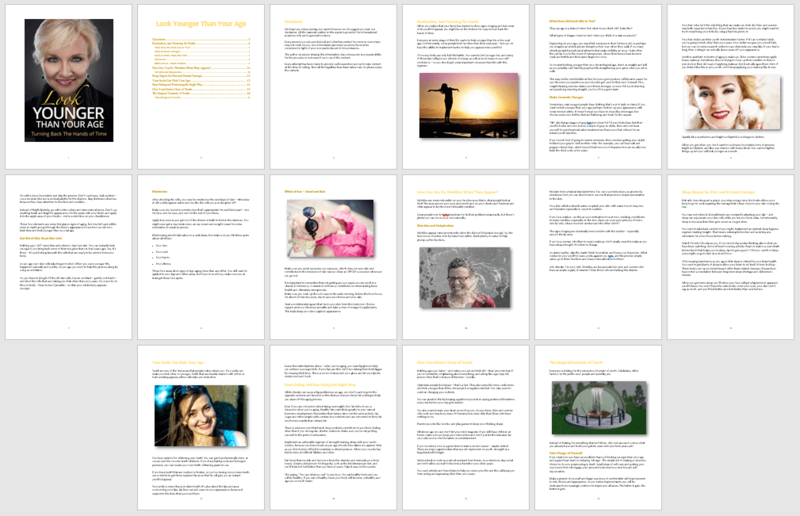 ‘Look Younger Than Your Age’ – 2,874 words, 16 pages. Disclaimer and fully illustrated with 100% royalty free, commercial use images. Provided in both JPG and PNG high quality formats. Plus you get the PSD file to edit and brand as your own! Lots of information are on these mini anti aging infographics. They’re perfect for sharing on Facebook, Twitter, Pinterest or Instagram…or any other social media platform of your choice! They’ll get people sharing! You’ll also receive a list of keywords with their monthly searches. There are over 700 keywords and thousands of monthly searches on this hot topic! It’s a great market to get into…if you aren’t already…and this pack will help you do just that! 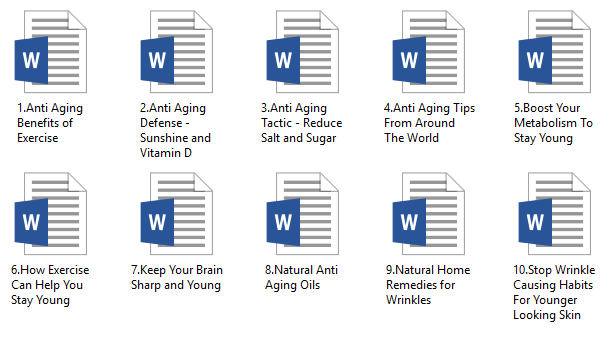 Here's a Recap of What's Included In This 'Anti Aging' PLR Package! You’ll also receive a list of keywords with their monthly searches. There are over 700 keywords and thousands of monthly searches on this extremely hot topic! It’s a great market to get into…after all, doesn’t every one want to turn back the clock and stop the aging process? Of course they do! You can provide the solutions!